The Lingotot class we attended was in Spanish so I felt a little bit like a duck out of water as my Spanish skills are non-existent but Louise who runs the class made me and Poppy both feel very welcome. As too did the other lovely parents who were taking part with their own little linguists. The class was incredibly relaxed with an emphasis on having fun and learning through play. There were songs, games and a story all geared towards the very young. Louise was very good at engaging with the children and encouraging them to join in with lots of repetition and the use of various toys and puppets. Our favourite part of the class (apart from the singing) was the fantastic craft activity. Poppy was delighted to be let loose with a glue stick and together we made a hedgehog or "un erizo" with autumn leaves. After the class Poppy proudly showed everyone who was even slightly interested in her creation as we walked around Tesco doing our shopping! Before the end of the class, Louise brought out some different toys so the children could play together whilst the parents got to have a chat over a hot cuppa, giving the class a real sense of community. It was definitely a great opportunity to meet other parents in the area and it gave me a bit of time to find out more about Lingotot and the thinking behind the classes. From chatting to Louise, it is clear that she is extremely enthusiastic about teaching languages to children and is keen to set up new classes. She offers a free taster session* to all those who are thinking of joining one of her classes in the York area. So if it is something you think you would like to try, do get in touch with Louise via the Lingotot York Facebook page. If you are not local to York, Lingotot run language classes nationally and in a variety of settings from community classes for babies and preschoolers like the one we attended to classes within nurseries and schools as well as after school clubs. A range of languages are offered including French and Spanish plus the less popular German, Mandarin and Arabic. As well as social and academic advantages of knowing multiple languages, there are cognitive benefits too, which is why this type of class is growing in popularity. As we discovered, Lingotot classes are designed to be interactive and fun with learning through songs, stories, games, drama and play. Young children pick up the language as they do in their mother tongue, through repetition and mimicry. All the tutors are either native speakers or have a degree in modern languages, they complete a Certificate in Teaching Early Years Languages and a Diploma in Teaching Primary Languages. 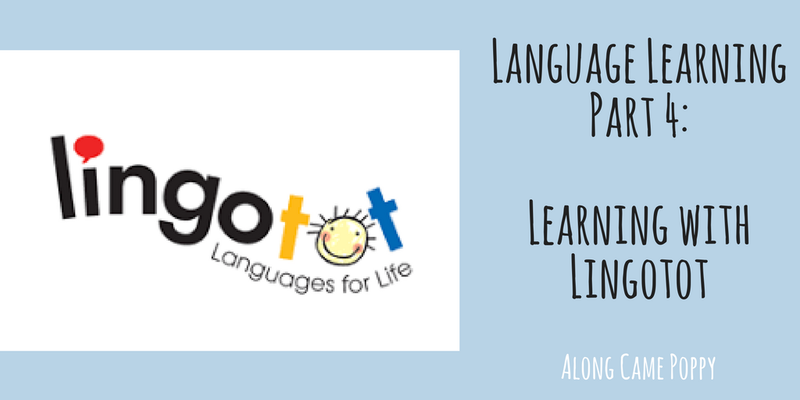 You can find out more about Lingotot and check whether there are classes in your area by visiting the website here. On a personal note, I am really keen to attend a German class with the Mini Reviewers and I am trying to gather support in the local area, so if this is something you would be interested in please do get in touch with me or Louise from Lingotot. Next time we will be reviewing Gus on the Go, an App for learning languages. In the meantime, do get in touch with any language learning tips, activities or products you recommend. We love to hear from you! *Please note we attended a free taster session with Lingotot York in order to share our thoughts. What a great and fun way of learning a new lanuguage!